Shmitten Kitten: Stop The Presses: I'm Emceeing This Year's Vendy Awards! Stop The Presses: I'm Emceeing This Year's Vendy Awards! 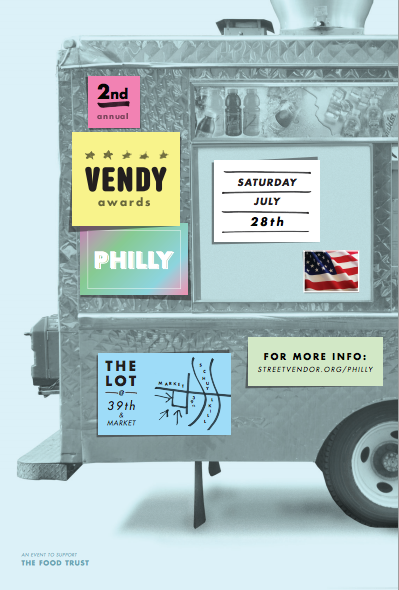 I'm incredibly thrilled to be hosting this year's 2nd Annual Vendy Awards on Saturday, July 28th from 3pm - 7pm at The Lot on 39th and Market. The Vendys are a way to recognize and honor the very best of Philly's thriving food truck scene. Some of the city's most talked about food trucks will be there doing what they do best: feeding us the yummiest food you can get on four wheels. As emcee, maybe I’ll recite a bunch of food truck-related haikus. Maybe I’ll dress up like a food truck. Maybe I’ll try and marry a food truck and have TLC film it for an episode of “Strange Love.” The possibilities are endless! You can purchase tickets to the Vendys here. And, go here for Facebook info. Hope to see you there!